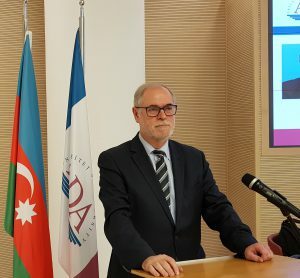 During his recent visit to Baku/Azerbaijan on 10-13 November 2018, the President of the Global Labor Organization (GLO), Klaus F. Zimmermann, has met Chairman Natig Shirinzade of the Institute of Global Economic Problems (IGEP) and collaborated intensively with him. Shirinzade, who is also a GLO Fellow and the GLO Country Lead Azerbaijan, had organized the meetings for Zimmermann with key representatives from government, academia and business to discuss the global challenges and approaches of the country. 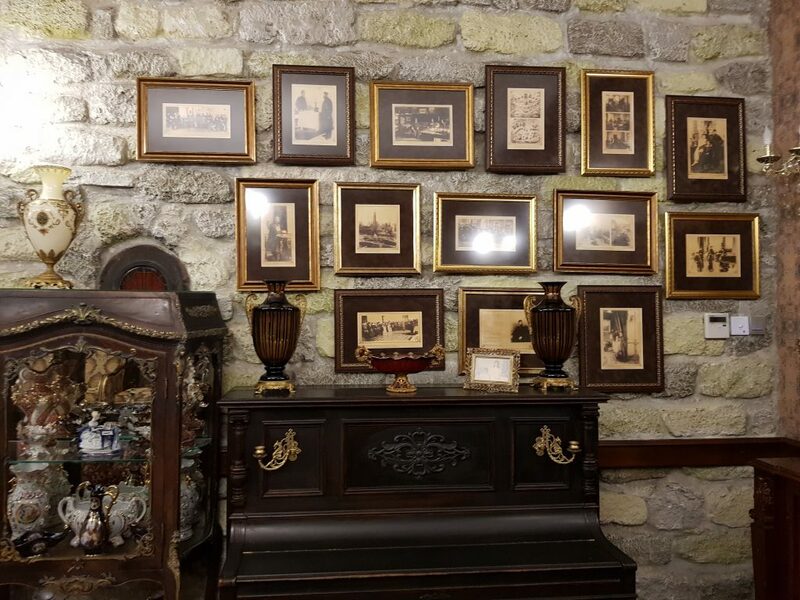 In the light of the great success of the visit and the large potentials, Chairman Shirinzade and President Zimmermann decided to intensify the relationships between both organizations even further. For this purpose, both signed a Memorandum of Understanding (MoU). 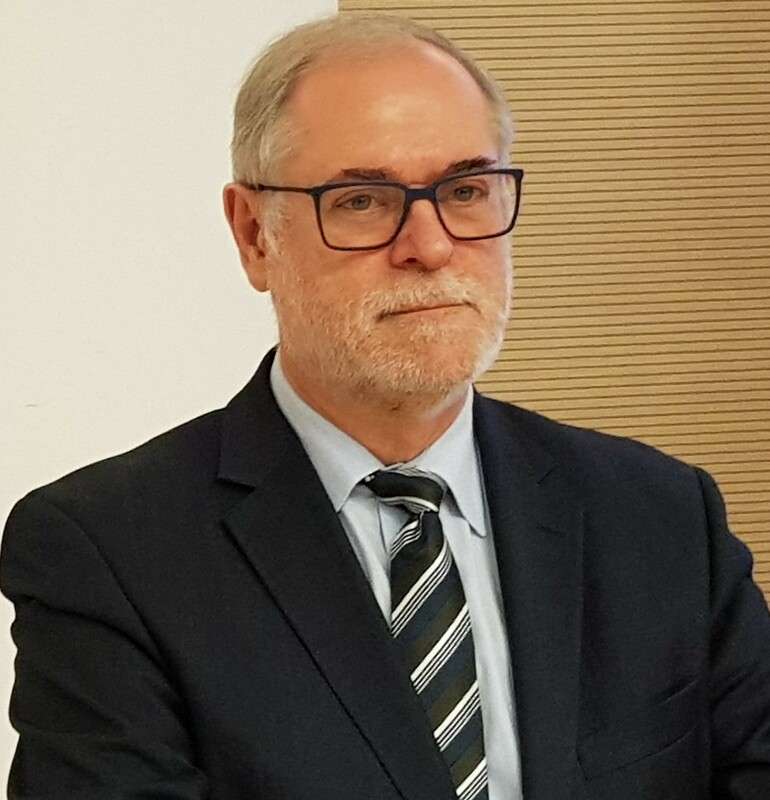 The MoU expresses that the planned collaborations should advance academic knowledge in both organizations through the encouragement of academic research, the communication among scholars through meetings, the promotion of publication opportunities and by providing networking opportunities for scholars through conferences and other joint activities. 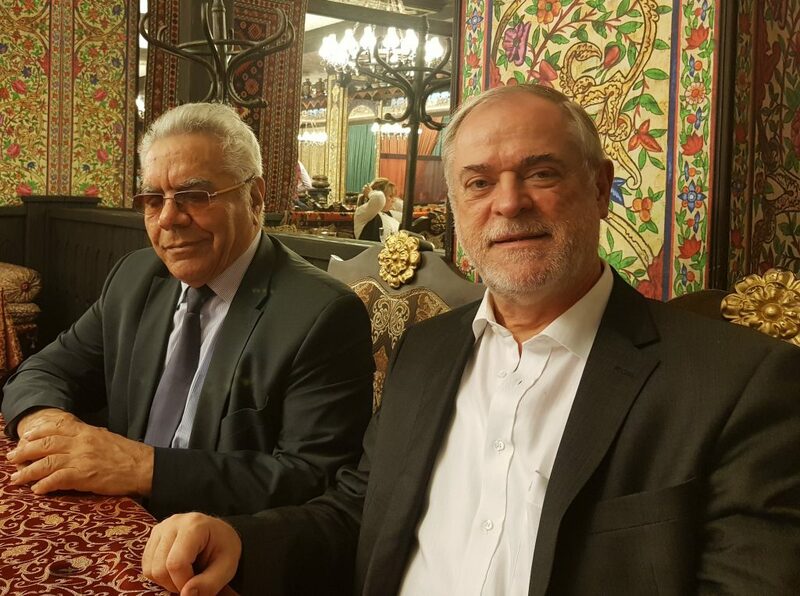 For this purpose, Zimmermann has also accepted to join the IGEP Advisory Board headed by the Honorary Academician Ziyad Samedzade, the Chairman of the Economic Policy, Industry and Entrepreneurship Committee of the National Assembly (Milli Mejlis). 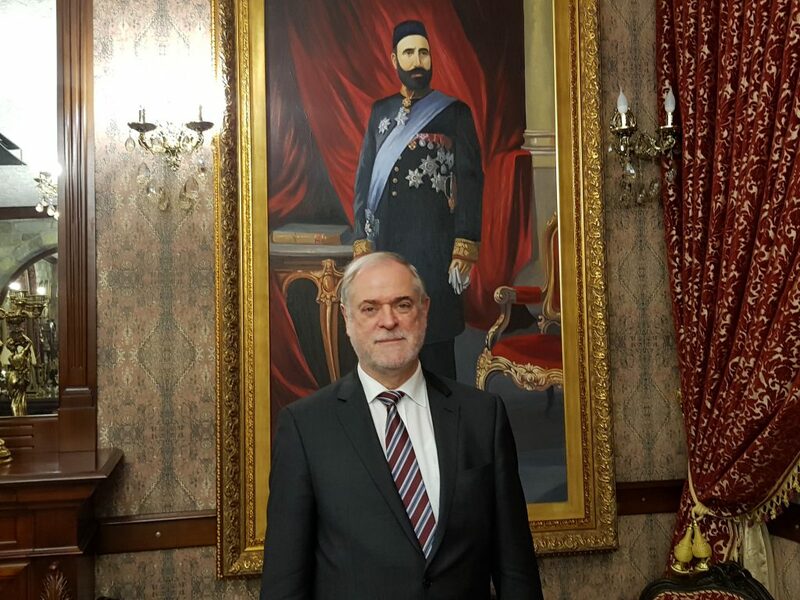 In a festive ceremony on November 13, Natig Shirinzade presented Zimmermann the certificate for this appointment, which is signed by him and Ziyad Samedzade. Over dinner on the previous night, Samedzade, Shirinzade and Zimmermann had discussed further details of the global challenges and found that they largely agree how one needs to approach them. 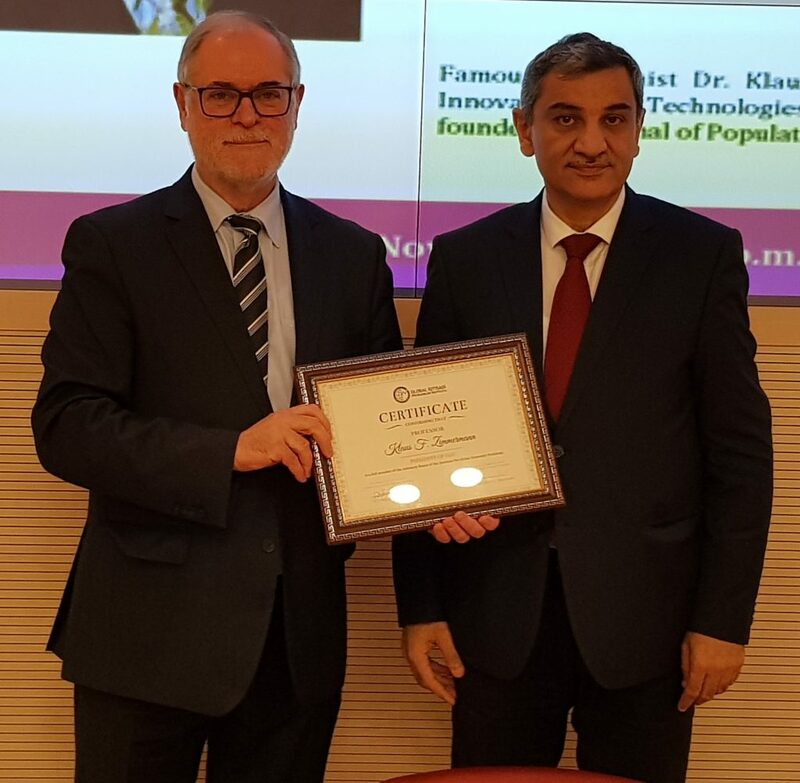 Shirinzade and Zimmermann after the presentation of the Certificate of the membership in the IGEP Advisory Board. 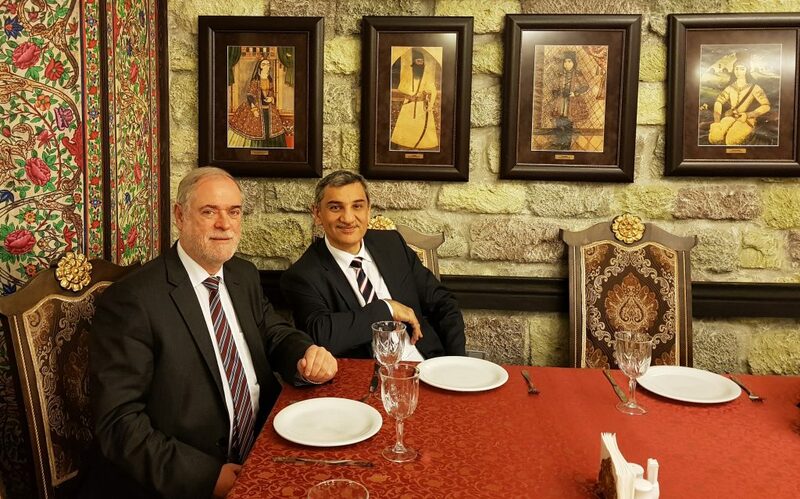 The Honorary Academician Ziyad Samedzade, the Chairman of the Economic Policy, Industry and Entrepreneurship Committee of the National Assembly (Milli Mejlis) and Chairman of the IGEP Advisory Board with Zimmermann. Zimmermann returned to Germany in the early morning of November 14, 2018. This entry was posted in Events, News, Science. Bookmark the permalink.